Samsung has been working to make its wearable devices compatible with iOSfor quite some time, and now it's finally completed the task. 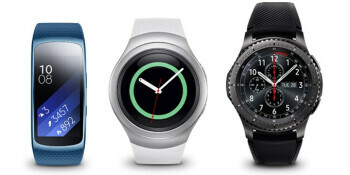 As of today, January 7, the Samsung Gear S3 Frontier, Gear S3 Classic, Gear S2, and Gear Fit 2 can be used with iPhones (not older than the iPhone 5) running iOS 9.0 or above. To pair your iPhone with one of the Samsung wearables mentioned here, you'll first need to download the official Gear S or Gear Fit app - these are available for free via the Apple App Store. Once the proper app is installed and you run it, you'll be guided through all the necessary steps to complete the pairing. Now that they've gained support for iOS, the Samsung Gear S3, Gear S2 and Gear Fit 2 work with most relevant smartphone models out there, as they've been compatible with Android since the very beginning. Not bad, considering the fact that these wearables run Tizen, right?